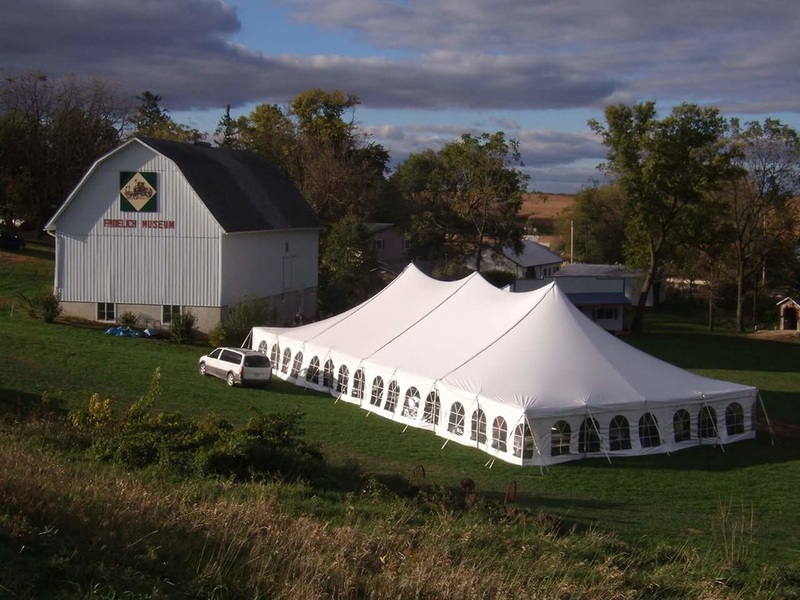 Froelich Tractor Museum - Monona Chamber & Economic Development, Inc.
Froelich Foundation for the Preservation of Farm Tractor History, Inc.
Reserve our Reception Barn for your party! ​wedding receptions, and bridal showers. Capacity 150. Includes a Dance Floor. CALL: (563) 880-1525 to reserve Froelich Barn. Hi, Friends of Froelich! Together let’s put Froelich on the map! The National Geographic Society wants to draw emphasis to the Mississippi River Corridor Geo-tourism sites like we are lucky to have here at the Froelich Foundation and Museum. We’ve worked hard on this project and now ask you to take a moment to recommend our museum by clicking the green button called "RECOMMEND THIS" located in the top left portion of our NATIONAL GEOGRAPHIC page. Click here to be directly connected to NOMINATE Froelich Foundation and Museum. You may also place an online comment if you’d like. FROELICH'S CLAIM TO FAME: Froelich, IA was settled in the early 1870s at the point where the narrow gauge Iowa Eastern Railroad crossed the Old Military Trail, which ran from McGregor to Fort Atkinson, IA. As a result of the railroad many businesses sprang up, and Froelich was once a thriving community that boasted of a depot, sawmill, blacksmith shop, a creamery, a post office (still in the general store), a hatchery, stockyards, ice house, barber shop, shipping warehouse and church. In 1892, John Froelich -- listed in the Iowa Inventors Hall of Fame -- made the first gas traction engine that propelled itself backward and forward. Froelich is credited with having invented many things: a washing machine, dish washer and dryer, a mechanical corn picker, and the mounting of a gasoline engine on his well drilling outfit. It is this invention that led him to modify the gasoline engine for a tractor for threshing. John Froelich also invented the first air conditioner, which went on to become the Carrier Air Conditioning Company. There is much history here in Froelich, IA just waiting for you to explore it! From Memorial Day to our "Fall-der-all," you are invited to reminisce with friends and neighbors, as well as, discover the rich history that survives today here in the Froelich Village. A non-profit organization est. in 1986 called "Froelich Foundation for the Preservation of Farm Tractor History, Inc." or "Froelich Foundation", sets the goal of preserving the heritage of the Froelich, IA village as the "Home to John Froelich's invention of the first gasoline tractor to propel itself forward & back in 1892". Each year members and many wonderful volunteers of the Froelich Foundation hold various events in Froelich to give people a chance to discover and remember the great contribution that John Froelich gave to America. Our guided tours include: 1891 General Store and Post Office * Replicas of John Froelich's First Tractor * 1866 One Room School House: Froelich #5 * Warehouse and Blacksmith Shop * Railroad Depot * Jim Cowell's display of half, quarter, and eighth scale Semis * 1903 Vintage Barn * History of Froelich. TOURS ARE NOW OPEN -- Please visit our website for specific days and times to tour the many buildings at Froelich's 1890s Village Museum. We're located in northeast Iowa just 4 mi. east of Monona, IA or 10 mi. west of Prairie du Chien, WI.